Welcome to the 2nd quarter of 2019. Wow, what a year it is promising to be. Personally, I have to say that so far each month has built on the previous, and the momentum is gathering. On the other hand, I am also seeing the effect that uncertainty around BREXIT (which was even raised as an issue during my recent International Women’s Day visit to Antigua) is having, with many individuals and companies putting off making decisions for the future. The situation is encouraging people to adopt a scarcity mindset, which in turn creates an adverse effect in their lives, as everything gets stuck whilst they sit in limbo. How do they fit in to your purpose? What value will they add to yours and the lives of others? Are you fully committed to making them happen? I set aside time each week for one to one clarity sessions, so contact me for further details. My book, The Value In You, 7 Keys to Reclaiming Your Personal Power, is coming this quarter. If you would like regular tips and support from like-minded achievers you are welcome to join our private Facebook group. Message me on Facebook and you will be added to the group. Stay awesome and make quarter 2 your best yet! Do you find that you are not getting as much done as you would like to? Well, I can assure you that you are not alone, however, is this really what you want to hear or where you want to be? Have you given much thought to how you implement your ideas, do you get into action straight away? How many times do you go over the same idea before you implement? Perhaps you have difficulty persuading others to embrace a suggestion. So, what if I said to you that this could be due to your own doubts. Quite often ideas are given to you but the process of over thinking or delayed action kills the seed of the idea. So by the time that you are ready to start working on it you are no longer feeling as enthused as when you first had the idea. In other words, it feels a bit stale. What do you want your guests to feel as they walk through the door of the venue? What is the check-in experience like for them? What do they do as they wait for the event to start? So, just from this example, can you see how you can simplify and implement an idea with ease, quickly and effectively? This in turn takes away the need to do a task over and over again, hence, saving you time, energy and money. Now imagine being this effective in all areas, do you think that it would impact your overall performance? What would it mean for you to have an idea and be so clear about it that it feels as though it has already happened? Can you see how easy it would be for you to convince others that your idea is not only viable, but necessary? This is what I do with my clients, I help to bring your idea to life by seeing the vision with you and then give you the processes to turn your idea into reality. Welcome to March, the month associated with Spring. However, over the past few days you could be excused if you thought that we were in the thick of winter. Here in the UK we occasionally experience extreme conditions that although expected we never seem to be able to handle fully, resulting in disruption to our roads and transport system. This level of disruption is not isolated to weather and the impact that it has on our ability to navigate the roads and the railways, this can also be inherent in our lives. When adverse situations occur in your life how do you cope? Do you stop and go into hibernation or panic mode, or do you seek solutions? For most of us the automatic response to unwelcome situations is a rush of adrenalin, which triggers our flight or fright reflex, causing us to either look for ways to run away from having to face the situation (some turn to an addiction, e.g. drugs or alcohol), or to freeze and stay “stuck” in the same space. These reactions are often unrecognised because they have become such a natural way of existing that it is just the “normal” thing to do. One of the hardest things to do is to recognise your habitual way of doing things and to make changes. Come on, it can be hard work! Deciding to make a change and sticking to that decision takes a lot of determination and dedication. It requires a strong reason to follow through. Take someone who is unhappy in their job, but earning a reasonable salary. They may complain, dread Monday mornings, but will not do anything to change their situation. They stay due to a perceived idea, be it that they are too old to get another job, cannot get the salary that they want elsewhere, or just plain frightened of change. What does a quality based life mean to you? Have a great month, and wishing you fabulous new beginnings. Wow almost at the end of December, we seem to have got here so quickly. As you reflect on your year would you say that it has been your best yet? Have you realised your goals, or did you exceed them? Personally, there have been highs and there have been lows, with some events coming presumably out of nowhere. One thing that I would say is that the year has definitely been one like no other. Some fun things that happened just in the last few months. You may recall that I had the pleasure of sharing the stage with Dr John Demartini from The Secret. I was also invited to form a small group to host a private tour of a new Mary Seacole installation and the statue for the High Commissioner of Jamaica and his Deputy. Just last week we unveiled a plaque in dedication to Healthcare workers who have given their support in times of conflict and crisis. In collaboration with two other business owners we created a Relax, Inspire and Reflect hamper that formed part of a raffle, raising funds for Great Ormond Street Hospital. Something else that happened this week will be revealed in the new year, but why do I share all of this with you? With just 9 days until Christmas, and 16 until the new year, what plans do you have in place? Have you chosen to design your year? What are your musts for 2018, in all areas of your life? Don’t panic if you have not done so as yet, you still have time to sit back, reflect and then design the year that you would love to live. Health – What would you love to experience? Is your desire to be healthier, exercise more, change the way that you eat? Career/Business – What would make you thrive? Will you expand your client base, are you seeking a promotion? Relationships – What can you do to enjoy loving and strong connections? Do you want to spend more quality time with a special someone? Freedom – What does this look like for you? More time to do the things that you love, more money? Remember, you always have choice, so you can choose to envisage and create the type of life that makes you feel alive, or you can let the dictates of things outside of you determine your experiences. Not sure where to start, put aside 10 to 15 minutes, get yourself a pad and a pen, then find a quiet place. For that 10 to 15 minutes relax and think about what you would love to be doing in 2018, and write it down. Remember, it is about what you would love to do, be and have, so forget about current circumstances and situations, it is all about what you would love. My greatest pleasure is to serve you. Thank you for being part of this community. Wishing you a very happy Christmas, and looking forward to seeing you soar in 2018. Welcome, so lovely to be here with you today. We are at the beginning of November, with just 52 days left in the year. None of us know exactly what the next 52 days will hold, we may have ideas, dreams, plans, goals and intentions, and through perseverance we can make all of them come true. One thing that you cannot, and should not take for granted is your health, as without it now of the above means that much (unless of course it is to enjoy optimum health). If you have attended a recent event and heard me speak you would have heard about a time when on the outside I had everything, the business, the big house, etc., yet something was out of sync, and my immune system made sure that I got the message loud and clear. So, today, this message is to remind you to take care of your health; for the men in particular, who may like to put things off, telling yourself that you will get around to having that check-up, or that the discomfort that you are experiencing is just a niggle that will go away eventually. You owe it to yourself and your loved ones to take action now. “Taking care of your health, mind, body and spirit, is the best way that you can serve yourself and others. What one thing will you do to maintain your optimum health? As you mark the days off on your calendar will you reflect on this as your best year yet, or will you be glad to see the back of it, hoping that 2018 will be much better? Well, here’s the thing, you have to take full responsibility for making the change. A simple way to start is by looking at two things, what is really causing you stress and what is it that you long for? How are you on this October day? In the name of full disclosure I must admit that due to a recent family loss the theme for this newsletter has changed from finishing the last quarter strong, it has prompted me to encourage you to stop waiting for things to be right, and to take action now. If you have a dream or something that you have been putting off doing, don’t wait!! Just a few weeks ago I was happy to be sharing the stage with Dr John Demartini (from the move The Secret), yet within a week I was standing beside a hospital bed sharing the final moments with a loved one. No, he was not ill or elderly, in fact he was only three years older than me. So, what will you do? Are you going to wait for the circumstances to be right? I’ll let you into a secret, the circumstances will never be just right, so take a leap and follow your heart. Sometimes in life you have to create the circumstances that you desire, otherwise you might turn around one day and wonder what happened. Now, you may be wondering why I am sharing this with you; in this particular case had the business arrangement collapsed my client would have lost out on the opportunity to grow, to help the other party recognise the impact that they have on others, and months of work would have been ruined because a situation was not right. The result of addressing the “issues” is that they are now back on track and almost ready to conclude their project. In concluding, you may not have all of the skills or resources required to get there, however, what you can do is to take the first step, as you can always ask for help along the way. Seek out someone who can show you how to achieve what you want to do, even if you have to pay for the privilege. I know that I have, and it has worked for me. If you would like help planning your next step email me at Roxanne@thevalueinyou.com to book a 30 minute strategy session. If you are required to submit a self assessment return for the tax year ended 5 April 2017 don’t wait until the 31 January deadline, file it as early as you can. As summer comes to a close and we step towards autumn another cycle commences; for those of us with families it may be preparing for school, college or university, getting into a routine of early morning dashes, homework and the likes. However, this is also a time when some choose to re-evaluate their life, making changes by starting courses, a new job, even taking the plunge of starting a new venture. What does the on-set of autumn mean for you, did you spend the summer making plans for the next phase of your life? I remember when my children were younger, just before the start of the new school year we would have a conversation about their intention for the coming months, what they were hoping to achieve, and what they were prepared to do to make it happen. We know that having intentions is one thing, but the real value lies in what you do to turn those intentions into actions and processes that get us the results that we seek. What routines do you have that support you? Is there something that you do during the course of the day to keep you focussed and energised? Do you have a night time ritual to prepare you for the following day? When starting a new habit, it can feel as though it takes up a lot of your time, but once you get into a routine, and stop over thinking it, you will find that you learn to let your actions flow, thus being more authentic and connected. It is in forming these rituals (habits) that your growth takes place. One ritual that many find very beneficial is to meditate first thing in the morning. This does not have to be a long-guided process, you could sit or lie still for 10 minutes focussing on your breathing. I have found that people get better results when they have someone with experience who can help them to look at their strategy and make a plan, so I have set aside a few slots over the coming week for just this purpose. 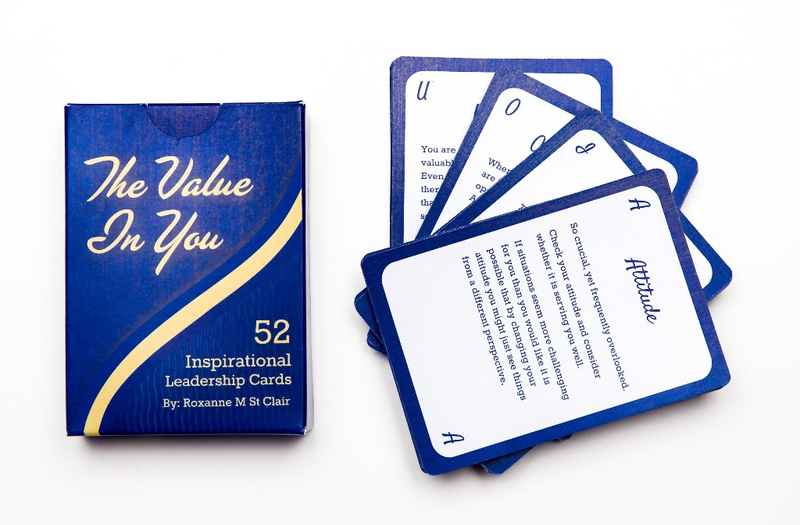 If this sounds like something that would help you send an email to Roxanne@thevalueinyou.com for further details. Sometimes you see a smile or a pleasant face and your immediate assumption is that “everything is alright for you, if only you knew what I am going through”, the thing is, if only you knew what they were going through. Some people are natural helpers and carers, and can be relied upon to jump into the breach and help another in need. They often do this with a smile on their face and with and humour to share. This does not mean that everything is alright with them, they may be the one who needs some love and support. I have seen this with many professionals and business owners, they are naturally in positions of responsibility, where ensuring the well-being of others is an integral part of their day, so discussing their fears, sorrows and challenges is a hindrance to getting things done. So, instead they hold on to their anguish and keep going as though everything is fine, sometimes not giving themselves the love and attention required to make sound decisions that if made at an appropriate time can relieve much of their hurting. The issues get left until such time that the person cannot hold it in any longer and it is ready to erupt with volcanic force. This is often because the individuals do not know who they can turn to, even to share news of what is going on in their lives. It is easy to say that they should share it with a friend, but remember, they are the one who makes things better for everyone else, so if they then show that they can’t cope….. Sometimes friends can only relate to one area of your life because that is the context that they know you in, so where do you turn when you want someone who can see you as a whole person with complex needs, and then be your rock? With perceived time and other constraints today’s solutions often tend towards overindulging, be it food, alcohol, medication (legal and otherwise), shopping etc., habits that at the time of indulgence may be a salve, but not dealing with the underlying issue. Many of these habits then causing their own set of problems, affecting health and finances as just two of the key areas. Thus, the spiral gains momentum. From personal experience, I know that you have to be willing to be very honest with yourself and recognise how you enabled the situation to develop. This first step can be painful and liberating at the same time, as it enables you to acknowledge that you have more power to make a change. The realisation that what was initially thought to be the problem is often a by-product of another issue can be the catalyst needed to get back into alignment. Some people need less support than others, so once they have had an initial conversation with someone (perhaps a coach) they feel equipped to put measures in place that will take them to the next level. Others require more of a structured approach to gradually unravel the layers of interweaving issues in order to enable them to move forward. For all of us, regardless of where we are in our lives, it is healthy to periodically take an audit of our lives, looking at where we are and how is it serving us. For example, do you enjoy the level of health and fitness that you desire? Is your relationship with your family what you would love it to be? Do your finances enable you to live in the style that you want, with enough time to pursue the things that interest you? It’s the middle of June, almost halfway through the year. We celebrated Father’s Day last weekend and now approaching mid-summer, the longest day, signifying the gradual shortening of days. With this in mind, where are you in your plan, are you achieving your 2017 goals so far? The good news is that there is still six months to go until the end of the year, still time to finish the year having accomplished your goals, and much more. However, the question is, will you? If you are not careful the next six months will sail by and you will be wondering what happened. Recent events in the UK have highlighted just how precious time is, so I urge you to do what you can now. If you could have one wish what would you love to accomplish between now and the 31st December? Don’t be modest, pick one thing that your heart desires, be it for your health and well being, your business or career, your relationships, what would you love? Notice I said “what would you Love?”, time is too short to be putting your efforts into anything less. We are deeply connected via our hearts, just check your pulse if you want proof. So, pause, take a breath and tune in to what your heart desires. So, we’re together on this Friday sunshine, lots been happening this week and you get a sense of feeling that people are ready for change, people ready for things to move on. So I will show today’s card with you and let’s see what it tells us. stop what you’re currently doing. Well, last night I was at an event called ‘Common Ties’ and it was all about storytelling. It was about expression, sharing, community and by being part of a community and sharing your stories. Storytelling helps you to express yourself, to be a full version of yourself and to support others and create that support for yourself. Today, what I’d invite you to do is to express yourself, to see your fuller vision and let part of that come out for you and see just how much you can grow, how much you can grow into yourself but also how you can grow externally as well. So, enjoy being expressive, enjoy being you and have a wonderful day and we will catch up soon. I do hope that your year has got off to an exceptional start. I can hardly believe that we are at the end of January already. Can you remember when it used to fell as though the month had extra days because it seemed to take forever to get to the 31st? What does 2017 have in store for you? Have you embarked upon anything new? Are you consolidating something that you had already started? Perhaps you have decided to go with the flow and see what happens. Just last night I had the pleasure of spending time with four amazing ladies, all from different backgrounds, but each of us had a vision to make a difference through our contribution. I will not go into specifics at this early stage, but watch this space! Having mentioned making a difference through contributing to others I am reminded of a recent coaching session that I had with a client, we were exploring the principle of giving. Did you know that when you feel stuck or constrained in any way in order to turn the situation around if you give (freely and with joy) it releases some of the constriction that is stopping you from moving forward. You can start small, try smiling at someone as you pass them or pay someone a compliment when they least expect it, and see how making them feel good also makes you feel good. Then, when you have that spring in your step put your mind towards a goal that you would like to achieve. Be happy, and choose to live the life that you love. Its the last weekend before Christmas, a time when many of us are rushing around tending to last minute preparations, dodging trollies and other frantic shoppers. But we must not forget that the holiday season can be a bitter sweet experience for many, with some feeling lonely and isolated and others missing loved ones who are no longer here to share the festivities. Just the other evening I started a conversation with a lady whilst walking down the road, she had just ended a call with her sister whereby her sister had accused her of being “grotesque” for spending her own money to buy presents and bits for her grandchildren. The sister had spent a total of £48 on Christmas and chose to chastise this lady for not knowing how much she had spent. My thoughts are, to each their own, so I asked the lady if she had spent her own money, which she had. She also proceeded to say that she did not take anything from anyone and that she did not owe anyone anything, and felt that as she had worked hard all of her life that she felt good being in a position to treat her grandchildren over Christmas. Well, what more can we ask? We all have choice in how we live our life, even when circumstances and conditions may appear otherwise, so this Christmas what choices are you making and do they enrich you and make you happier? Many years ago when my husband Eric was seriously injured in a climbing accident which I feared was my fault, I descended into despair. Already a poster child for the problem of self-loathing and self-destructive behavior, I had hit the wall. I was beginning to experience health problems, too, that stemmed from my need to forgive myself for Eric’s accident. Just as I realized that I must forgive myself, I discovered a way—Louise’s You Can Heal Your Life. In fact, this book saved my life. Following its wisdom, I started the practice of saying positive affirmations, which helped me more fully love, accept, and forgive myself. I began the self-care work that not only saved me but helped me wake up to the true purpose of my life. Positive affirmations became a form of prayer for me. As Louise teaches, our beliefs and ideas about ourselves are often the cause of our emotional problems and physical maladies. By thinking of ourselves in positive terms rather than negative ones, by changing our thoughts, we can change our lives for the better. Could this positive message heal? Ask the poet in Poland, the coach in Argentina, the student in Mexico, and the artist in Japan. Ask the millions who are thankful beyond measure for the message that being loved and forgiven is our natural state. Being happy and healthy is our birthright. What hope! As I learned to love and forgive myself and began to follow my path to the light, a world of healing opened before me. I learned to heal myself, and I discovered my work as a spiritual teacher and energy healer. Louise Hay and her signature book became a beacon on my road to fulfillment, joy, and service to the world. Forgiveness – When I was seeking a path to redeem my life, Louise’s message in You Can Heal Your Life helped me find the grace I needed to forgive myself. The grief of my difficult childhood and my self-destructive patterns as a young adult could only be healed when I began to forgive myself and others. Forgiveness is the cornerstone of any effort to rebuild, recover, and renew your journey to the light. Courage – It takes courage to face your fear and begin to care for yourself in mind, body, and spirit. Taking responsibility for your life—your past and your future—takes guts. It’s a leap of faith. Acknowledging that you are a child of the Divine brings the recognition that you are worthy and deserve your own loving care and respect. Gratitude – Having an attitude of gratitude in every area of life brings more to be grateful for. All the positive thoughts and emotions that enable you to serve others with love stem from a sense of reverence and thankfulness. Seeing each day as filled with opportunity and promise helps you grow closer to the open-hearted, open-minded, and loving spirit you were born to be. Love – The energy that holds the universe together is unconditional love. When you extend that love to yourself, you’ll be able to extend it to others as well. Beginning with the inner light of self-love (which honors the Source of all creation), you can grow in spirit and become part of a vast network that can heal the world. Humor – Do you love to laugh? I know Louise does. Laughter is healing and reflects a confident belief that all is well. As a beloved child of the Divine, you are here to be a joyful explorer of life. When you laugh, you are reducing pain and stress, building immunity, and lighting up the world for yourself and others. Being a role model for joy is a powerful teaching tool. “Don’t worry, be happy!” is one of Louise’s favorite sayings. Grateful people around the world will beam bright birthday wishes to Louise as she turns 90 this October 8. A great way to honor a great teacher is to follow her example and begin a practice of loving and forgiving yourself, doing the healing work that will set you free to love and serve others. Hay House UK Ltd. publishes books, calendars, DVDs, audio books, and cards in the areas of angels and fairies, astrology and divination, health, mediums and psychics, parenting, self help and personal development, and spirituality. The company also engages in organizing events. It offers its products online. Hay House UK Ltd. was founded in 1984 and is based in London, the United Kingdom. Welcome to your ThoughtfulThursday post, wishing you peace and time to reflect over the coming weekend. When you do reflect on your life and your dreams do you take into account your value, the value that you place on yourself? Some days ago I had what is now referred as a “light bulb moment”; it occurred to me that I was following in the footsteps of someone who had been very instrumental in my upbringing. Fortunately, this trait is a positive one. However, it is fundamental to the value that I place on myself, and my expectations. Consider how much of yourself you are prepared to give away, at what stage would you set your boundaries? Looking at your actions would you say that you value yourself? How do you show others that you value them?